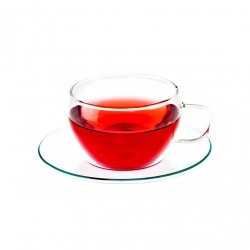 Tea, the second most widely drunk beverage in the world, has been known now for nearly 5,000 years. With its rich and colourful history, it had become an important part of many cultures across the world, often embraced in the realms of spirituality and affecting many social strata throughout the centuries. Its true origins are lost in the mists of legends and we cannot be sure how exactly it was discovered or even how it was initially consumed. Although several countries have their own tea origin myths, the widely accepted story begins in 2737 BC in Ancient China with the Chinese Emperor Shen Nung (Shennong, Chinese: 神农). Shen Nung, the Divine Cultivator, was a renowned herbalist and believed to be the father of ancient Chinese agriculture. One day, as he boiled some water for drinking, a few stray leaves blew over from a nearby tree and fell into the water. 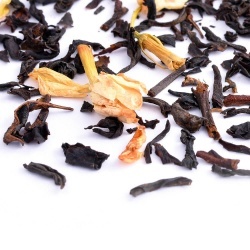 Curious of the new aroma, Shen Nung decided to try some and found the brew both refreshing and tasty. The mysterious tree proved to be Camellia sinensis, the same plant from which tea is still made from today. 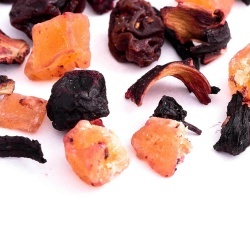 At first, tea was used as a tonic herb that helped with digestion, as well as an ointment to help with skin problems. Yet as time passed, tea become firmly established in the Chinese culture and in 780 AD, Lu Yu, the patron saint of tea in China, wrote the first known study of tea called the Ch’a Ching (The Classic of Tea). Eventually, tea made its way to Japan, brought back by Buddhist monks who realised that the fragrant brew helped them stay awake and focused during their exceedingly long meditations and prayers. With time, the unique Japanese tea culture with its own ways of serving powdered tea and elaborate tea ceremony was established. As time passed, new types of teas were created, the production methods and serving ceremonies developed further and neighbouring countries embraced tea through trade. After the foundation of the East India Company in 1599, the Dutch branch established a trading link between China and Europe a decade later and eventually the first sample of tea reached the old continent in 1650. 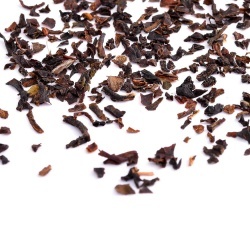 By the end of that century, Britain alone was importing nearly 100,000 lbs of tea per year. Tea’s story in Great Britain was off to a slow start; in the beginning tea was just a curiosity served at London’s first coffee house. Yet, when Charles II married Catherine of Braganza, a well known tea fanatic, tea all of the sudden became very fashionable at the court and the wealthy took a sudden interest in this new and exotic drink. Due to a high import tax on tea and increasing popularity, tea remained a treat reserved for the upper and part of the middle class. High demand among the less well off and lack of quality control, lead to rampant smuggling and adulteration and by the end of the 18th century there was an organised crime network centred around tea. It was only when the tax was slashed from from staggering 199% to 12.5% did tea become affordable to all and smuggling died off. 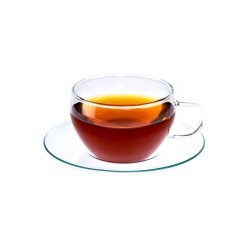 The British new found love of tea also spread to its colonies, especially the New World. Yet the ever persistent problem of high taxes and the resulting tea smuggling, meant smaller revenue for the British government. The war with both the French and Native Americans lead to an increased need for new founds, which Britain intended to raise through new taxes. This lead to unrest and boycotting of British goods and eventually the famous Boston Tea Party, which resulted in destruction of an entire shipment of tea in 1773. 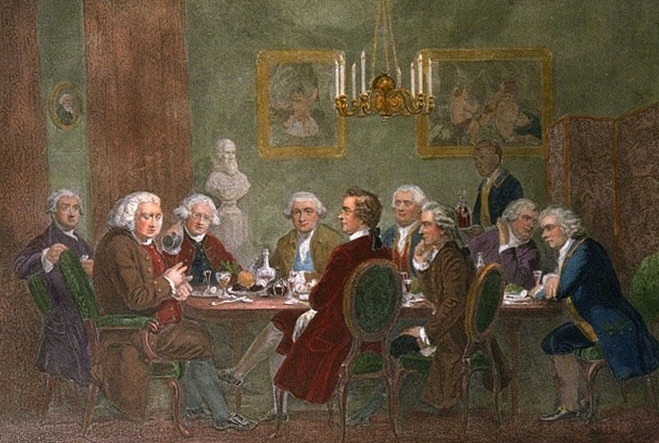 Tea’s popularity in America was on a decline from then on. 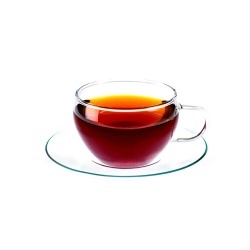 In 1823, a wild tea plant, native to India, was discovered in Assam and less than a decade later tea production was officially introduce to the region and few years later also to former Ceylon, now Sri Lanka. This proved to be crucial for Britain’s love of tea, as in 1840 the British declared war on China, which in turn retaliated with an embargo on tea export to Britain. The first tea house in London was opened in 1884, but by then, for nearly 50 years, tea was enjoyed in a more formal and organised social occasion called the ‘Afternoon Tea’. It was the Duchess of Bedford, that organised first such events back in 1830s, which quickly became fashionable among the ladies of the upper class. It all started with the introduction of gas lighting, which replaced the traditional candles and oil lamps, which in turn pushed the evening meal later into the day and extended the gap between the meals in the afternoon. The Duchess began inviting her friends for a light refreshment, quickly popularising it among the wealthy hostesses and by 1860s cookery books were advising on the details of such gatherings from food and attire to entertainment and furniture arrangements. 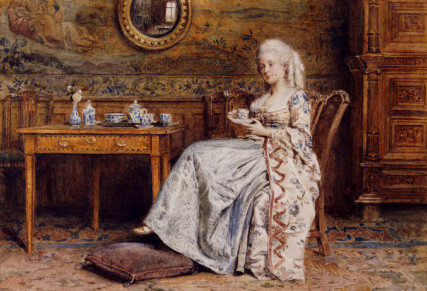 By the end, Afternoon Tea was an important social event for ladies across most of the social classes and tea parties became an essential accompaniment to various occasions such as birthdays and weddings. Expensive fine bone china tea ware was key to these gatherings and many families spent a small fortune on tea related accessories and tea ware. To this day, Afternoon Tea can be quite an elegant and sophisticated event, especially when enjoyed at an establishment that focus on serving traditional Afternoon Tea in beautiful surroundings. This quintessential British tradition is still enjoyed by many British people with more and more foreigners embracing it as part of the essential British experience. Tea and the various rituals associated with it are no longer perceived as the quaint quirk of the older generations. Fusion teas with their new array of flavours, ranging from fruits to exotic spices and essential oils, entice the younger generations and tea is becoming more fashionable simply because it is a healthier alternative to coffee. More and more studies show that this millennia old drink holds many health benefits, from free radical combating antioxidants to concentration boosting properties, as well as being rich in many vital minerals. There are even studies showing a direct correlation between green tea consumption and lowered risk of bowl cancer.